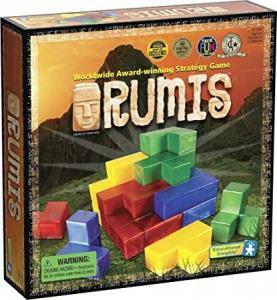 Sharpen your spatial awareness and critical thinking skills with the strategy game RUMIS! Compete to outwit your opponent(s) by reconstructing historical Inca monuments of a pyramid, tower, stairs, and wall. This game is available at our Educational Resource Center.